here are some beauty tips to add some swag to your hairstyling. these little extensions can give instant perk to any hairstyle. what is amazing about these extensions is that you can blow dry, curl, and straighten them. they behave as your hair would and look oh so cute peeking out of your locks. 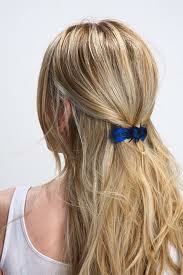 even the tiniest of clips add color and style to your mane. go big or go little, just go for it. hair accessories are not just for those 10 and under. thicken up those strands with a few spritzes of Bumble and Bumble's thickening spray. transform limp locks to textured and full bodied. adding volume to your hairstyle is like instant va-va-voom. pair it with some platform pumps and you're set. if you are straight go for curly or if you are curly go for straight. whatever it is, changing up your usual look makes you feel like a new woman. if you haven't, i would suggest investing in a quality curling iron or straightener. 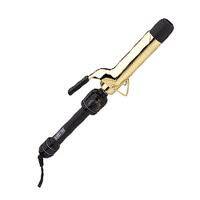 both are worth the investment and eliminates the hassle of waiting for your iron to heat up as well as curl. a nice iron does both in just seconds. who cares if you haven't tried it before? have fun with your hair. twist it, rat it, curl it, braid it. trying something new will get you noticed. this simple top knot caught Tman's attention, and capturing a man's attention to your hairstyle doesn't happen often. there is never a bad time to add some swag to your style. hope you found these beauty tips helpful and if you have any to add, please comment! I LOVE that look! Nice work.